The parade was short, but just the beginning of De Beque’s 3rd Annual Scott Elliot 4th of July celebration in Gazebo Park. Food included a potluck BBQ and music by the Gerry Goodman band. Kids played in two large inflated playgrounds, one a water slide. Fireworks were set for dusk. 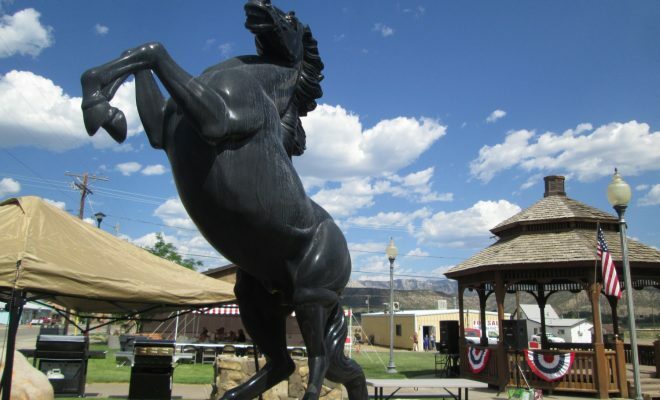 The history of the town is commemorated with a tall mustang statue in the park. In 2001, the Town Board of Trustees designated De Beque as the only Wild Horse Sanctuary City in the West, Wikipedia reports. 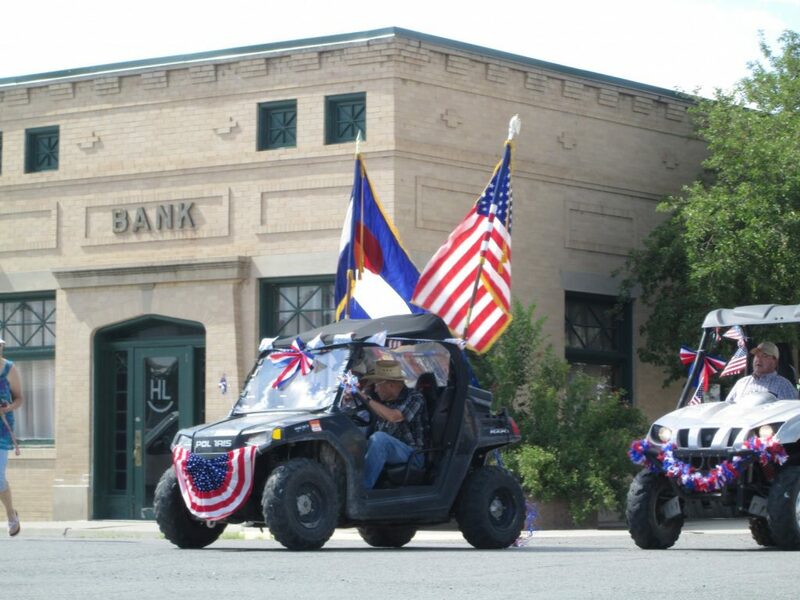 The 4th of July parade featured decorated vehicles, candy tossed from the vehicles to a handful of spectators, and participants in period dress. The De Beque 4th of July parade featured decorated vehicles, candy tossed from the vehicles to a handful of spectators, and those in period dress.